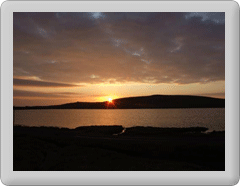 Zoom image There is only one specialist removal company in Shetland, Ian F Reid, who operate out of a base in Lerwick and have extensive knowledge of removals to and from Shetland to anywhere in the UK. They also provide storage facilities at the base in Lerwick. 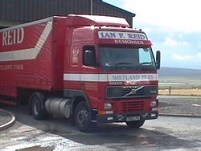 Another transport company providing occasional moving services is Shetland Transport. If using your own removal company you should ensure that their vehicle has suitable lashing points, as Northlink Ferries will not carry vehicles without these. For specific requirements, please contact Northlink Ferries directly. You should also ensure that your removal company is fully aware of the logistics of moving things around in Shetland. For example bookings are essential for getting HGV's on local ferries. They are also likely to have to spend at least one night in Shetland.